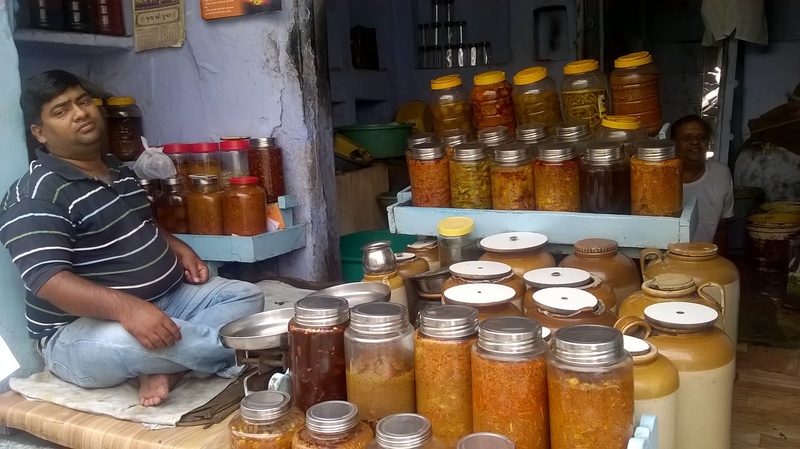 Five things to do in Jaipur That Don’t Involve a Palace or Fort. 1. 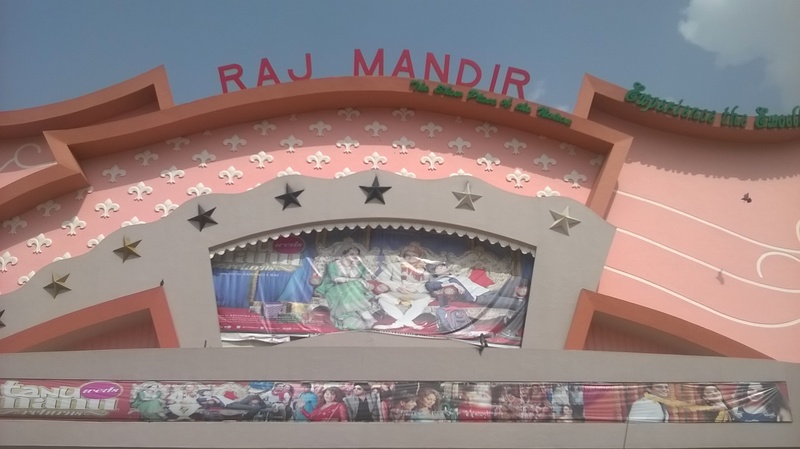 Raj Mandir – This has got to be one of the quirkiest cinemas in the world. 70% of tickets sold are just for people wanting to go in and look at the interiors. The showings are for Bollywood movies, and don’t worry if you don’t speak Hindi, it’s as fun to watch the people watching the film as the film itself. They have daily showings in the afternoons and evenings, with an interval. Get there a bit early to check the place out and then try and figure out why the ceiling colour changes periodically throughout your stay. 2. Try out some of the street food and traditional food establishments. 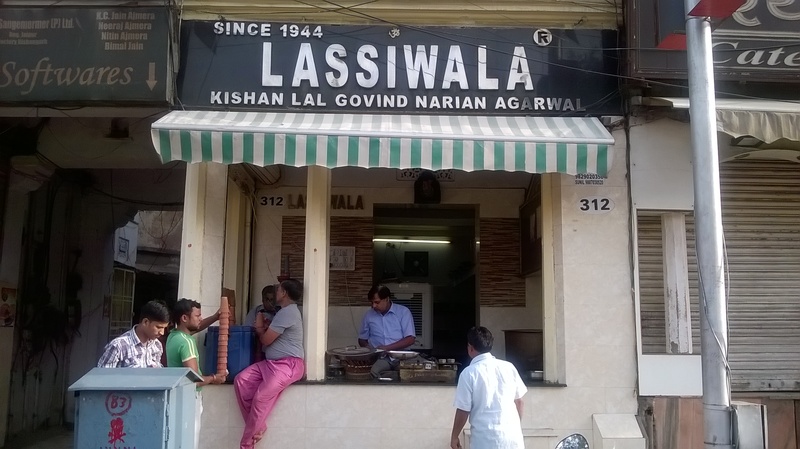 The best lassi-wala in town (think sweet milkshake served traditionally in earthen jars) has been operating since 1944, the best pickle makers have made it a family business which has been running for over 160 years, they have every vegetable you can think of in stone jars and will sell in small quantities as well as bulk. The best kulfi wala (Indian ice cream maker) is generally in debate by the local aficionado’s but for me it is no contest, I tried them all and it’s the guys situated opposite the pickle makers on Gopalji ka Rasta (or Gopalji Street). For a great breakfast, its reputation precedes it, is the LMB Hotel (actually restaurant) which has allegedly been operating since 1727. It has options to take-away, to eat in the take away section or you can visit the restaurant with its décor which is so dated it’s funky again. I can’t believe I never visited it when I lived in Jaipur, but it’s perhaps as well, the samosas were to die for and the aloo puri weren’t bad either. The weight would have piled on! I don’t think my walk around Central Park each day would have compensated. I prefer savoury but it is actually famous for its sweets so if you have a penchant for a sugar kick the India way, then head there and prepare for one hell of a rush. 3.Check out the Polo. Although gimmicky polo has taken over in recent times on elephants (now banned) and camels, The Rajasthan (horse) Polo Club was established in 1918 and still runs today as the premier polo club of the country, and competition wise they do pretty well! The main polo season is only in January but if you are there at that time pop along, mix shoulders with the players, enjoy a beverage or two in the polo bar and wonder onto the stands to watch a couple of chukkas. Most of the players are some form of nobility and the club has hosted such people as Jacqueline Kennedy (I stayed in her suite at the newly opened and fabulous Raj Mahal Hotel on this trip but more about that later), The President & Prime Minister of USSR, Queen of England & Prince Phillip and Prince Charles. They also have and do host teams from South Africa, Zimbabwe, UAE, USA, Australia, Argentina, Pakistan, Palm Beach, UK & Brazil. You never know who you might meet, at worst, it is a fun afternoon out watching toned, firm thighs in Jodhpurs. I rest my case. 4. Get active! Take either a trek or a cycle ride into the hills above the Amber Fort, this is a forest reserve and you may come across Nilgai (we did!) and Jackal amongst other creatures and as this is mating season, there were a plethora of peacocks in full bloom as it were. Not only do you get to stretch your legs, but you see some wonderful countryside, happen across shepherds and tribal villagers and also get some stunning views down over Jaipur which apart from wonderful photo’s, also gives a great sense of perspective. Did you know that the wall surrounding Amber is the 3rd longest in the world, after the Great Wall of China and Kumbalgarh, which is enroute between Jaipur and Jodhpur? A wonderful 8 km trek/ride (each way) will see you discover a 400 year old temple, lake, villages and some old hunting lodges of the royal family. You can also work of the kgs gained from exploring the city’s food stops. 5. Kite Flying. This is not just a past time in Jaipur, it is almost an obsession. Different from the type of flying that we are used to in the west when we head to a park and run around frantically trying to find some gusts of wind to launch the kite a few feet off the ground for a few seconds. This involves serious tactics and roof top flying (people have been known to get so engrossed they fall off!). The kite is light and when released, flies for what seems like miles, but that’s the point. It’s a fierce competition. The strings are coated in powdered glass and the idea is to cut your opponents kite down. You may never see the actual opponent as he will be on a roof several houses away. 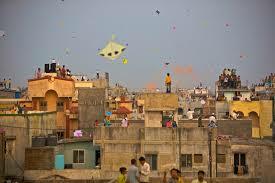 On any given day, head up onto roof top and there will be several kites in the sky, or plummeting to the ground, their flight having been aborted by someone who could be as many as 20 or 30 roofs away. The bonus is that whoever finds the thwarted kite, gets to keep it. There is a whole market in Jaipur where kites are made and sold and although kite flying takes place all year round, Dec – Feb inclusive are the busiest times as people are practising for the main festival day which takes place on 14th Feb every year when one can barely see the sky for multi-coloured kites, and then the post festival frenzy, which is a bit like the post Wimbledon frenzy, when all youths (and the not so young), take to the courts for a few weeks. 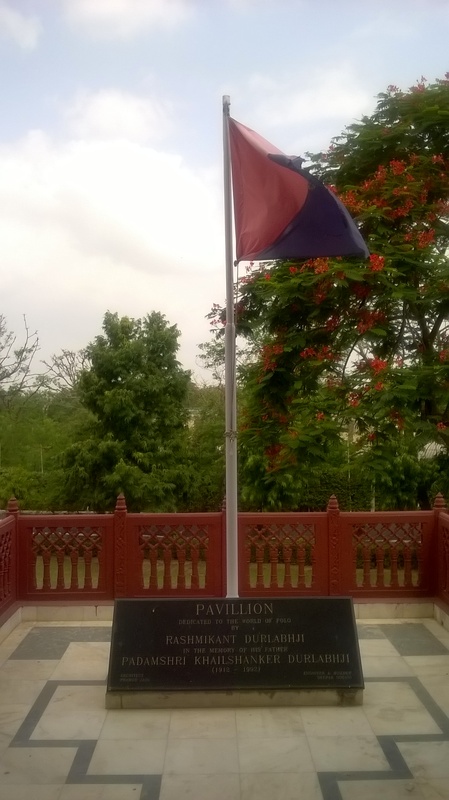 I could have listed 25 more things to do in Jaipur, but that wouldn’t go with the 5 things posts so I will update with 5 more in the weeks to come. Five Things to do in Agra Which Don’t Involve the Taj Mahal or the Fort.